You may remember Laura Story's well-known song about Blessings, which was inspired by her real life trials, specifically about her husband's diagnosis of a brain tumor. 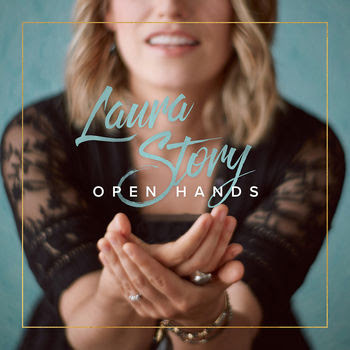 If you love that song, as well as the many others she has sung, then you need to grab a copy of her 5th studio album, Open Hands. The more I listen to it, the more I like it! We have this picture all the way through the Scriptures of all these great leaders in this process of surrendering everything. What the Lord is asking them is not, "You need to hold on tighter. You need to manage this better." What the Lord asks us is to surrender. It’s about learning to live with open hands, learning to live life in this constant state of saying, "Lord, my life is Yours. My time is Yours. My resources are Yours. All of this is Yours. Do what You will." "I’m pretty sure that the theology that I learned as a kid was from old hymns. It’s amazing, even now as an adult, how those hymns come back and really provide that sturdy foundation for life. It reminds me of how important it is for me to teach my kids those old hymns,” Story reflects, adding, “As long as I am singing, I will be singing hymns." “Awake My Soul (1000 Tongues)” - a remake of "O For a Thousand Tongues to Sing." “For The Love of My King” - a renewed version of "My Jesus, I Love Thee." Please enter below to be included in a random drawing for a copy of this CD. Entries will be accepted until Saturday, March 18, 2017, at 8:00 p.m. Central time. One entry per mailing address. Must be 18 or older to enter. Many thanks to Propeller Consulting, LLC for providing this prize for the giveaway. Choice of winners and opinions are 100% my own and NOT influenced by monetary compensation. I did receive a sample of the product in exchange for this review and post. Only one entrant per mailing address, per giveaway. If you have won a prize from our sponsor Propeller /FlyBy Promotions in the last 30 days on the same blog, you are not eligible to win. Or if you have won the same prize on another blog, you are not eligible to win it again. Winner is subject to eligibility verification.